ANDORRA 700 years anniversary issue - Very rare! ANDORRA 700 years anniversary issue – Very rare! Unissued – blank document! 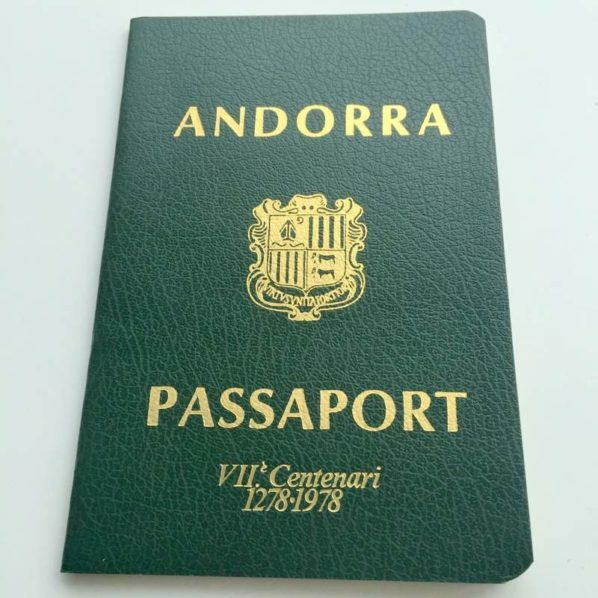 Andorra passports itself are most rare already but this special edition was issued ONLY in 1978! Andorra’s population in 1980 was only 35.460. You can bet only a few hundreds – maybe one thousand passports of this special edition were maximal issued. 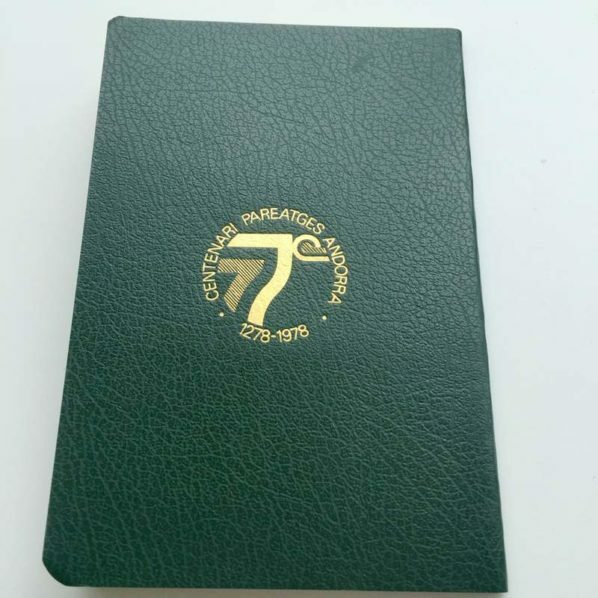 This is definitely one the most rare modern passport a collector can get for it’s collection – A ONCE IN A LIFETIME CHANCE! Only a handful of countries are known to issue “commemorative” passports! Andorra, officially the Principality of Andorra, also called the Principality of the Valleys of Andorra is a sovereign landlocked micro state in Southwestern Europe, located in the eastern Pyrenees mountains and bordered by Spain and France. Created under a charter in 988, the present principality was formed in 1278. It is known as a principality as it is a monarchy headed by two Co-Princes – the Roman Catholic Bishop of Urgell in Spain, and the President of France. Andorra is the sixth-smallest nation in Europe, having an area of 468 km2 (181 sq mi) and a population of approximately 85,000. Its capital Andorra la Vella is the highest capital city in Europe, at an elevation of 1,023 meters (3,356 ft) above sea level. The official language is Catalan, although Spanish, Portuguese, and French are also commonly spoken. Andorra’s tourism services an estimated 10.2 million visitors annually. It is not a member of the European Union, but the euro is the official currency. It has been a member of the United Nations since 1993. In 2013, the people of Andorra had the highest life expectancy in the world at 81 years, according to The Lancet.